Four horses with Virginia connections will compete in the Breeders’ Cup World Championships at Churchill Downs on Friday November 2nd and Saturday November 3rd. Catholic Boy is set to compete in the $6 Million Breeders’ Cup Classic on Saturday and a face a star studded field in his toughest test yet. He is 8-1 early and will be amongst a field of 14. Catholic Boy wins the 2018 Travers. Photo by Joe Labozzetta/NYRA. Catholic Boy gave his trainer Jonathan Thomas, a Virginia native, his first career black-type victory when he won the Grade 3 With Anticipation Stakes last summer at Saratoga. 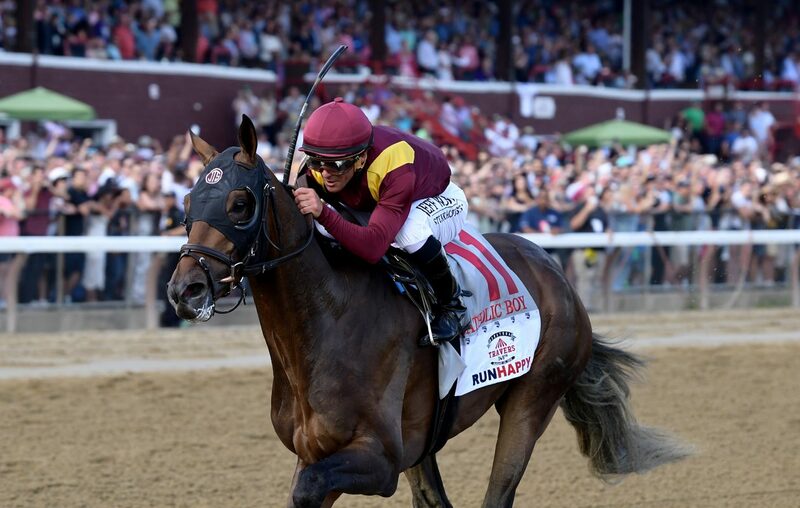 The colt then handed his conditioner a pair of Grade one scores when he prevailed in the Travers Stakes and in the Belmont Derby Invitational Stakes July 7. The Kentucky-bred son of More Than Ready has a slate of six wins and one second from nine lifetime starts, good for $1,842,000 in purse earnings. The colt finished fourth in the Breeders’ Cup Juvenile Turf at Del Mar last fall. Thomas grew up on the famed Rokeby Farm in Virginia, and has worked for such trainers at Christophe Clement, J.J. Pletcher and Todd Pletcher. 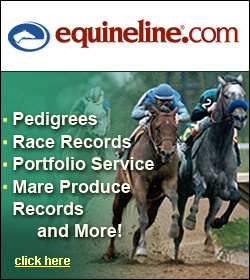 He is the son of Virginia Equine Alliance Track Superintendent John Dale Thomas. 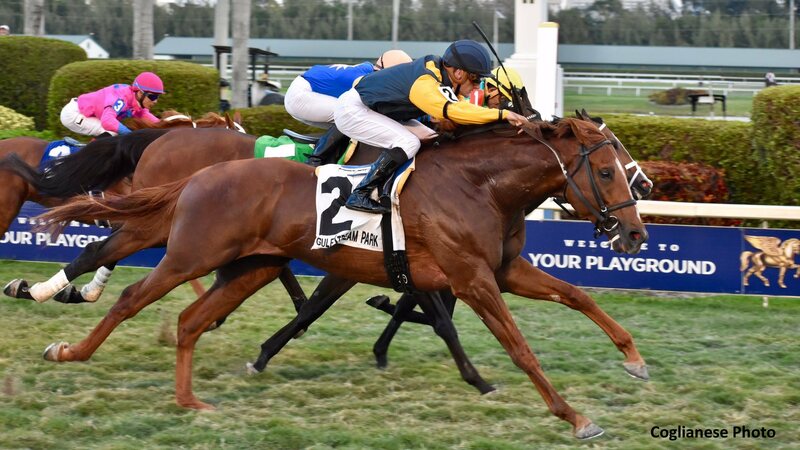 Sadlers Joy won the Grade 2 Pan American Stakes at Gulfstream in April, 2017. Picture courtesy of Coglianese Photos. Sadler’s Joy is a 5 year old Kitten’s Joy horse who will be competing in Saturday’s $4 million Breeders’ Cup Turf (Gr. I). A winner of over $1.7 million in his career, Sadler’s Joy is owned/bred by Woodslane Farm in The Plains, Virginia. He won the Mac Diarmida Stakes in March and has battled the best in four Grade I stakes this year alone. Bellafina is a 2-year-old Quality Road filly who will compete in Friday’s $2 Million Breeders’ Cup Juvenile Fillies stakes, 7th race on the “Cup” extravaganza kickoff program. The hot filly, who has won three straight west coast stakes, is owned by Virginia businessman Kaleem Shah. She recently captured the Sorrento (Gr. 2), Del Mar Debutante (Gr. I) and Chandelier Stakes (Gr. I). On Friday, Bellafina will face 9 others and is the 2-1 early choice. 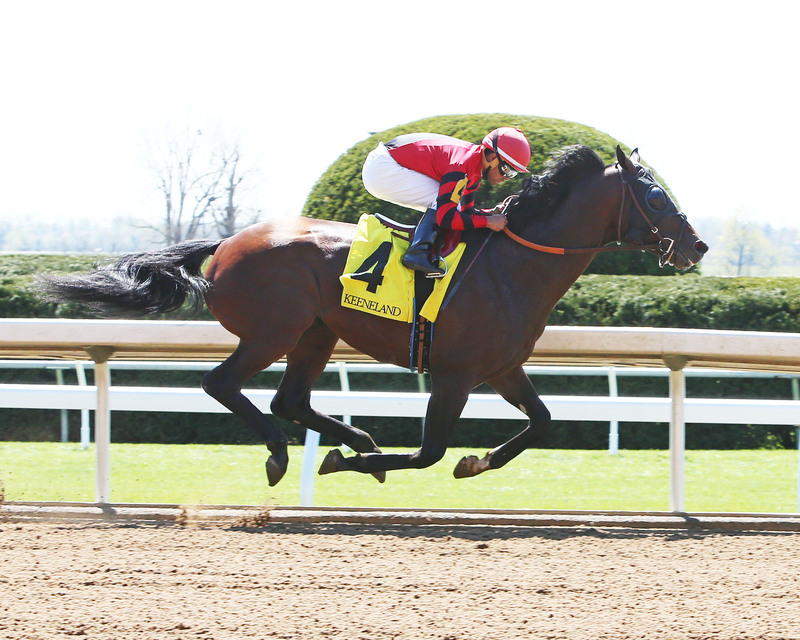 Honorable Duty is shown winning at Keeneland in April, 2016. Photo courtesy of Coady Photography. Honorable Duty will compete in Friday’s Grade 2, $200,000 Marathon Stakes, The 6 year old Distorted Humor gelding is owned by Virginia businessman and HBPA President David Ross. Honorable Duty was second in the Grade I Stephen Foster Stakes at Churchill back in June and enters Friday’s event with a bankroll of $956,796. He is 4-1 early and faces a field of 9 others. Jockey Jose Ortiz has the mount.